Rand Paul Gets $580,000 Award After Suing Neighbor Who Broke Six of His RibsA jury awarded the noted libertarian and Kentucky senator over half a million dollars, after his neighbor threw him ten feet across his own lawn. Mitch McConnell Is the Latest Politician to Get Heckled at a RestaurantA group of men confronted the politician while he was eating dinner with his wife, Transportation Secretary Elaine Chao. The Rest of That Kentucky Bourbon Warehouse Collapsed on July 4Good timing, in a sense. Pour One Out for This Bourbon Barrel Collapse in KentuckyNearly 10,000 barrels came tumbling out of a Kentucky distillery warehouse last Friday. Teachers Go on Strike in Two More Red StatesEducators are walking off the job in Kentucky and (again) in Oklahoma as their conflicts with GOP state lawmakers intensify. Kentucky Lawmaker Commits Suicide After Being Accused of Sexual AssaultRepublican state representative Dan Johnson allegedly assaulted at 17-year-old girl in 2013. Kentucky Lawmaker Commits Suicide After Being Accused of Sexual AssaultRepublican state representative Dan Johnson allegedly assaulted a 17-year-old girl in 2013. Rand Paul Suffered 5 Broken Ribs in Assault at Kentucky HomeIt’s unclear when the senator will be able to return to D.C.
Man Arrested After Assaulting Senator Rand Paul at His Home in KentuckyThe senator was “blindsided” by his neighbor, but received only minor injuries. The reason for the attack is not clear. Kentucky Just Passed a Law That Allows LGBTQ Discrimination in SchoolsThe “religious freedom” law could bar LGBTQ students from joining student groups. 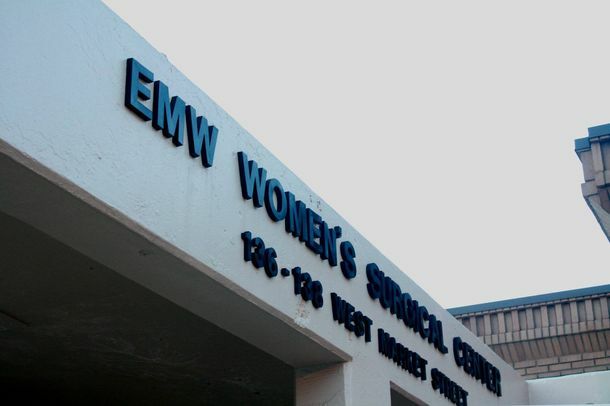 One of Kentucky’s Two Remaining Abortion Providers to Close DownAs of January 27th, there will only be one abortion clinic remaining in the state. ACLU Sues Kentucky After Gov. Matt Bevin Signs Two Abortion Bills [Updated]ACLU is challenging Kentucky after the governor signed into law a measure that would also require abortion providers give a patient an ultrasound. This Is the Most Ironic Thing an Anti-Choice Lawmaker Has Ever SaidMatt Bevin will probably be proofreading his tweets more carefully. Kentucky High School to Change Racist Hair PolicyBraids like Beyoncé’s? Outlawed. Look for Two More Sanders Upsets in KY and ORWhat does it mean if he keeps his winning streak alive? Kentucky Governor Dismantles KynectMatt Bevin delivers on his pledge to hand Kynect over to Washington bureaucrats. Sad Kentucky Officials Say Recovered Pappy Van Winkle Must Be DestroyedJulian Van Winkle nixed an auction because of liability concerns. Tea Party Favorite Matt Bevin Wins Kentucky Governor RaceHe’s promised to roll back the Affordable Care Act in the state. Kentucky Teacher Resigns Over Parents’ Dumb Ebola FearsThey wanted to quarantine her over a trip to East Africa. Owners of Kentucky Chinese Restaurant Charged With Human TraffickingInvestigators say the man and his wife made employees live in their basement. Mitch McConnell Lost March Madness, MiserablyThe Kentucky senator’s ad failed multiple times. Snake-Handling Reality TV Preacher Dies From SnakebiteWho could have seen this coming?